The Colombo District Court today issued an interim injunction against Kotte Mayor Janaka Ranawaka restraining him from defaming Deputy Mayor Madura Vithanage. The UPFA-run Kotte Municipal Council was in the midst of a scandal in March this year when Deputy Mayor Madura Vithanage filed action against Mayor Janaka Ranawaka seeking Rs. 20 million in damages over a “doctored” video clip allegedly showing the former in a compromising position. 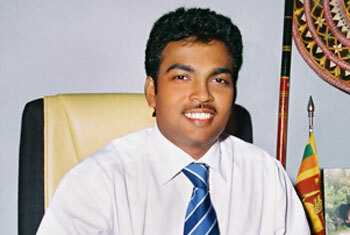 The District Judge of Colombo had then issued an enjoining order valid till April 1, 2012, restraining the Mayor of Kotte from displaying or distributing the false video, which the plaintiff claims was prepared by the Mayor to defame him. Vithanage had also pleaded to restrain the Mayor from showing the visuals by a permanent injunction and to issue an interim injunction until the final determination of the case. Later objections were raised by lawyers representing the Mayor of the Sri Jayawardenapura Kotte Municipal Council. However the Colombo District Judge after considering submission by both parties today issued an interim injunction operative till a verdict is issued regarding the case.